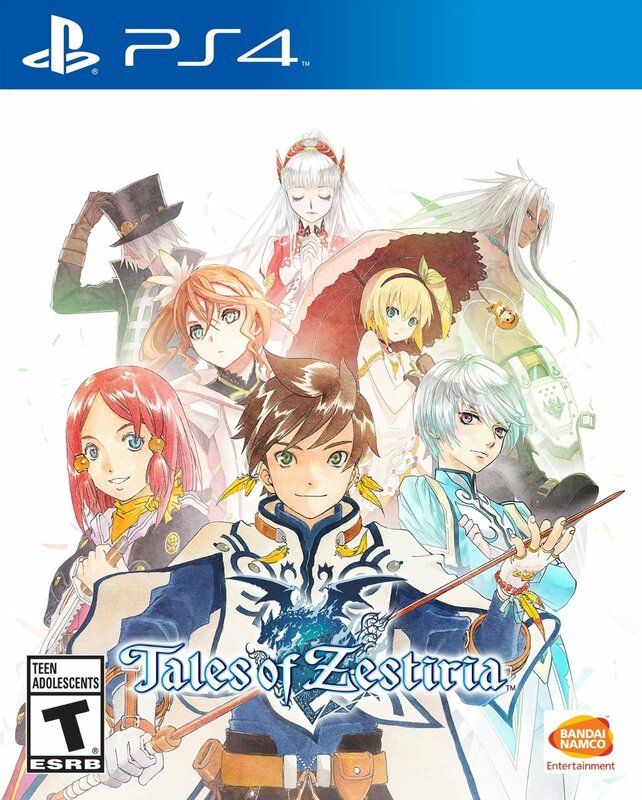 Tales of Zestiria, the 15th entry in the “Tales” series, marks the debut of Bandai Namco Studios’ storied JRPG franchise on the PlayStation 4 and aims to potentially draw in a whole new generation of Tales fans. As a complete newcomer to the Tales series as a whole, but intrigued by its success, I took it upon myself to discover just how well the game accomplishes that goal. 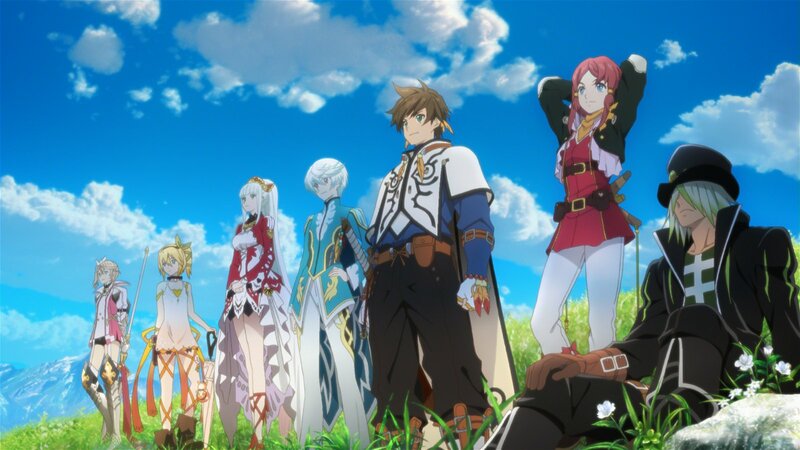 Zestiria follows the adventures of Sorey (pronounced So-ray, not “sorry”), a young human who has been raised from childhood by another humanoid race, called the Seraphim, who watch over humanity from their hidden ancestral realm of Elysia, serving as both gods and demigods of sorts. Raised as one of the Seraphim’s own, Sorey possesses a high level of resonance, meaning that unlike other humans, he can see, hear, and interact with the Seraphim just as if he were a Seraph himself. He also has a pure spirit free of ‘malevolence’, an evil that runs rampant in the human realm and prevents humanity at large from properly worshiping, believing in, and thus perceiving the Seraphim. 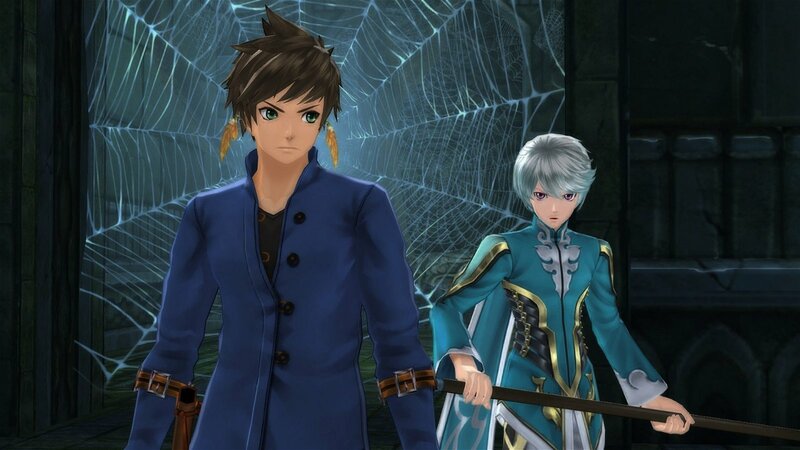 Not surprisingly, Sorey is fated to become ‘The Shepherd’, whose role is to seek and drive out the source of the malevolence in the human realm and restore humanity’s waning faith in the Seraphim. Though many Shepherds before him have done this over the millennia, his first encounter with another human in distress on the outskirts of Elysia, a young female knight, jumpstarts his inevitable departure from his sheltered existence. 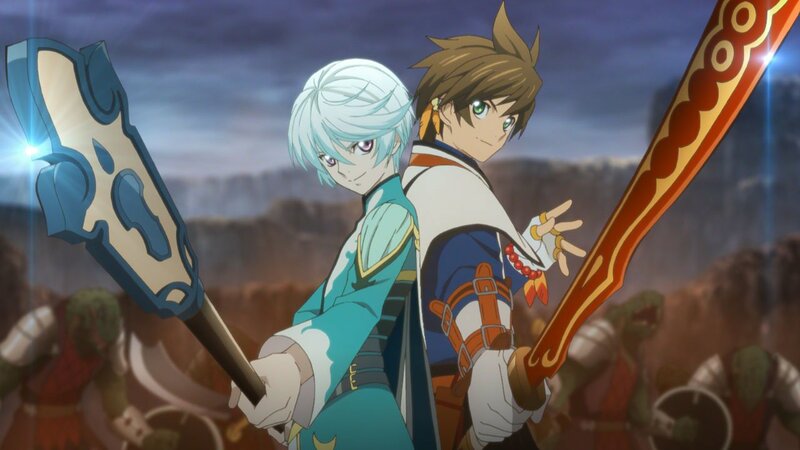 Accompanied by his inseparable childhood friend, Seraph Mikleo, Sorey follows Alisha to the human realm and is quickly pulled towards his destiny. What follows is an adventure that borrows liberally from Judeo-Christian religious concepts, Arthurian myth, and European high fantasy, but is drawn together by an unbounded sense of bubbling optimism on a Skies of Arcadia level; gamers seeking Final Fantasy-like angst need not apply here. Also more boundless than in any Tales game before it are Zestiria’s environments, which not only emphasize unprecedented open-world exploration across the game’s various lands, but also for the first time are directly represented in the game’s battles as well, rather than warping the characters and enemies to a separate battle scene. Players will quickly find that the boundaries of battle are still limited to a small area within that larger environmental space, but the visual continuity still goes a long way towards maintaining a greater sense of immersion in the overall world of the game. Like Tales of Xillia 1&2 before it, Zestiria brings back the Linear Motion Battle System (LMBS), which eschews the slower pacing of turn-based RPGs for quicker, real-time battles where the player is in direct control of one party member at a time (but can switch between characters) while the others act on their own volition based on default behaviors or according to pre-set actions and reactions that the player can program for each character. The result are skirmishes that appear more like frenetic free-for-alls where flashy melee and magic attacks by both friend and foe are exploding all over the screen at once, but Tales greenhorns should not make the mistake of confusing LMBS for a mere brawler. Underneath its surface appearance is a highly complex rock-paper-scissors hierarchy that extends to practically every aspect of battle, including forms of attack (Artes), active and passive skills, leveling up weapons and equipment, and even attack combos and evasion techniques in combat. The game tries its best in various ways to explain to the player how to micromanage all these different aspects gradually as they play through the story, but proper tutorial modes for each one are practically non-existent. Instead, players are given crash-course information dumps largely in the form of numerous monoliths they can uncover in their journey (which also reward them with skill points needed for unlocking new abilities), but these info dumps demand far too much memorization on the part of the player. Newcomers who are feeling overwhelmed can switch the game’s difficulty to Simple to take some of the pressure off and just enjoy the story. But as more of the complexity and depth of LMBS is revealed, players who remain in easy mode will eventually start feeling as though they are mindlessly mashing buttons and not getting the most out of the experience (in fact, certain key techniques are not available below normal difficulty), or they’ll eventually run up against an enemy that by all rights they should be able to defeat but have not learned the necessary techniques, leveled up the right skills, or properly “fused” the right equipment (there is actually a WRONG way) to do so. The new Armatization ability (which allows the main character to merge with one of his Seraph allies to become a powerful hybrid that wields one of the four elements that the Seraph is specialized in) is fairly easy to grasp and utilize in battle. But outside of that new wrinkle, if you’re not an experienced Tales fan, learning LMBS is a trial by fire; you’ll need to put in several hours practicing on the battlefield, deciphering skill flowcharts and min-maxing in menus before everything you’ve learned finally begins to click. Anniversary of the Tales Franchise. Finally, the game also happens to feature 2-4-player couch co-op for those who don’t like JRPGing alone (though for aforementioned reasons you should probably include a LMBS vet in your group!). In the end, Tales of Zestiria is a JRPG built primarily for Tales fans and those who truly want to be Tales fans. If you’re in one of those two groups you’re almost guaranteed to love it. But if you are merely JRPG/Tales-curious, be prepared to face a steep learning curve and the many extra hours required to get up to speed. Fortunately, Zestiria has a great deal going for it if you’re willing to put in the time. Although the PS4 version is a port of the PS3 version and looks the part, it does so in the best way that it can.